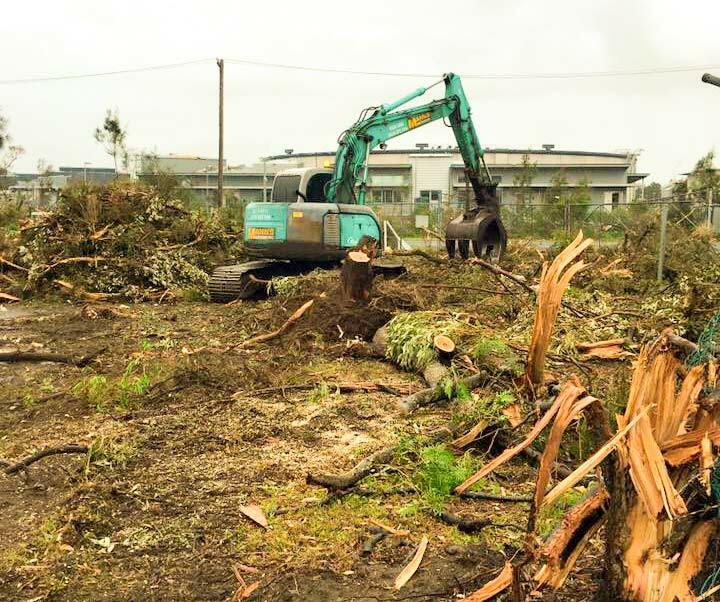 There are many reasons to engage a land clearing contractor to conduct vegetation and Tree Clearing services. These reasons include making way for development projects and sub-divisions, Fire breaks and trails for hazard reduction burns, building site preparation or any other approved tree removal for residential lots or larger properties. It may also be an emergency response situation where storm damage has left a residential or commercial community area unsafe with risk of falling trees or limbs. 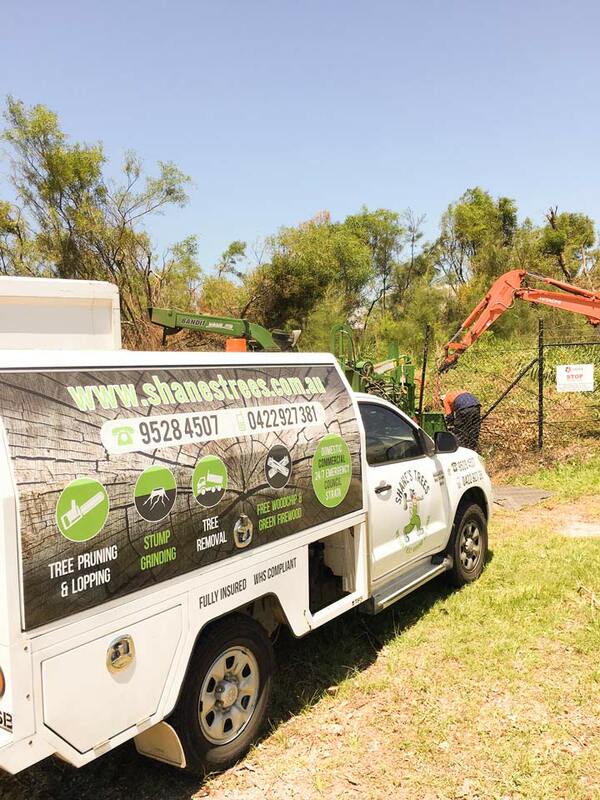 Shane’s Trees have experience with all the above scenarios and our 35+ years in operation, makes us one of the most dependable and knowledgeable Tree Service providers in Sydney. We have a well established team that bring peace of mind to our clients and fast effective service at extremely competitive prices. 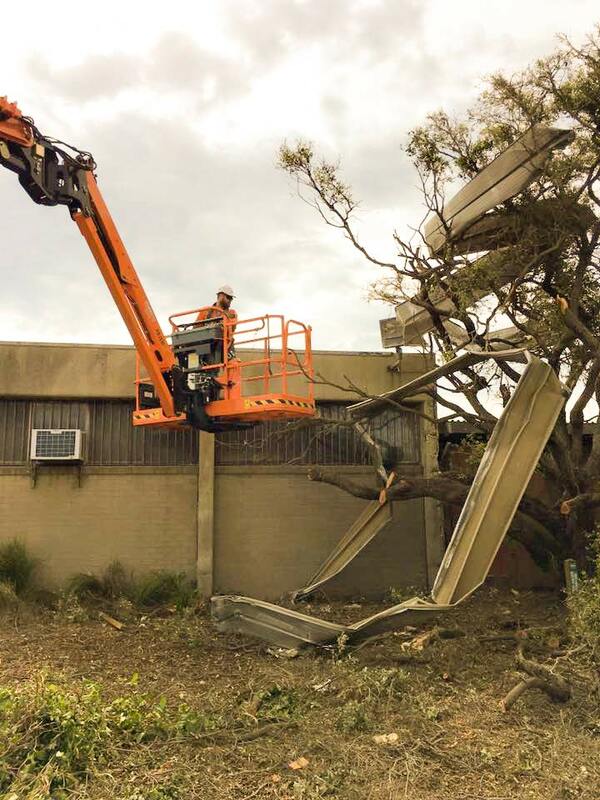 Shane’s Trees were called out to attend the emergency response cleanup after the dangerous Kurnell tornado devastated the area in December 2015. The area was hit by winds of up to 213 km/h which tore roof’s off houses, tipped over cars and trucks and left damaged trees and building everywhere in it’s path. Our team where involved with the cleanup both in the community area and land clearing operations in a nearby major hazard facility. I would highly recommend the Shane's Trees team. I requested a quote to have a tree removed and a member of the team arrived the same day with expert knowledge and a plethora of advice regarding the maintenance of the trees and shrubbery on my property. The job was complete by the very next day including an immaculate clean up. The team were highly professional, safe, and reliable. I will definitely be using the Shane's Trees team again! It's rare to get reliable tradesmen! This crew has blown me away with their professionalism and efficiency. They solved my tree issues in a matter of hours. tHANKS Will recommend to all my friends at bingo. We recently had a large Gum removed from our backyard by Ben and the Shane's Trees crew. Ben leads a team of true professionals. The crew was punctual, efficient, safe and personable. Thanks so much for a job well done - I can highly recommend! Prompt quoting and short lead time to work being done. Excellent job done by very competent friendly crew. Did exactly what was requested with a thorough clean up afterwards. Very competitive pricing with no surprises. Did what they said they would. Reasonably priced, on time and cleaned up far better than I could have expected. Ben and his team know their stuff. We recently had a large dead tree removed and various clean-up required in a difficult location, over a fence on a sloping block in the driveway of a commercial business during trading. Put simply, you just wouldn't use anyone else. Quick response time, knowledgeable staff, polite, efficient and tidy. These guys get the job done. Absolutely brilliant! The team at Shane's Trees recently removed a truly enormous tree from a very confined area in our backyard. The tree was overhanging 10 neighbouring properties and the only access in and out was via a long 1m wide laneway. The service was outstanding, with excellent communication from the team both in the lead up to removing the tree and during the removal process. The team went above and beyond, cleaning all of the neighbour's back yards thoroughly prior to leaving. There was no damage to any property during what is surely one of the most difficult tree removal jobs you could imagine. The quote for the job was extremely reasonable given the significant degree of difficulty and huge amount of waste that needed to be removed. They had up to 8 men on site working in order to get the job done as quickly as possible to minimise disruption to ourselves and our neighbours. Would highly recommend their service to anyone. My husband and I do long hours and could not be at our home in Engadine for this job. The Shane’s Trees crew arranged to tie up our dogs “Bulvai” and “Zalie” while they worked. They fed them before they left and the apprentice stayed with them until we got home. Our yard was cleaner than when we left for work. Pat the apprentice cleaned up leaf litter from another tree while he waited for us to get home. I wish we could find other tradesman this amazing. If you’re looking for an EXPERIENCED, HONEST, and FAIR PRICED arborist, then don’t call anyone else but SHANES TREES. We called a number of arborist’s in the area to visit our home to quote the removal of a 60 yr old grey gum tree, and some additional smaller trees. Ben came over the same day I called for a quote, was extremely professional, and honest with what he could and couldn’t do. He took the time to explain the process and was one of the only companies to get back to me within a day with a price that was below what others had quoted me. My experience with trades people in the past hasn’t been great, however I have to say that the level of service, we have received with Shanes Tress, has been amazing. Communication on timeframes to complete the job were excellent, the work they did, well exceeded our expectations and I’m so glad that we chose them for the job. Even my father in law commented on how good there were on our site. Thanks again Ben and Matt, I know where to go if I have any future needs, and I will no doubt be recommending you, to the people I know. Cheers! Very professional & timely. We didn't have to be at home - they let themselves in & left the yard tidier than it was!! Highly recommend Shane's Trees! After getting some quotes and being messed around by a few different companies, I contacted Shane's to cut back a few trees at my parents place. Ben got back to us with a quote immediately and was very competitive on price. Needless to say he won the work and within a week the guys had been out, completed the Job and left no mess behind. If you want an honest price and the job done right, give them a call.